Drawing can be made into straight lines, fills, threads, ripples and spirals, depending on the decoration. Straight line brushed aluminum plate. 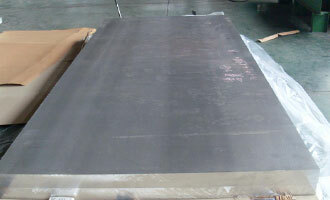 It refers to the process of using mechanical abrasion on the surface of aluminum plate to process the straight line.It has the double effect of brushing the surface of the aluminum plate and the surface of the aluminum plate.There are two kinds of continuous silk lines and staccato silk lines.Continuous silking available microfiber cloth or stainless steel brush through continuous straight and level of aluminum plate surface friction (e.g., under the condition of a * device manual skills or use the planer grinding clamp wire brush brush on the aluminum sheet mill).Change the steel wire diameter of stainless steel brush, can get different thick and fine lines.Staccato silk is usually processed on a brush or striping machine.Preparing principle: the two groups of synthetic differential wheel rotation, the group to rapidly spinning roller, the slow rotation of the group under the conditions of the rubber roller, aluminum or aluminum alloy passed between two groups of the roller, brush an intermittent straight lines. High speed running copper wire brush, make the aluminum plate front and left the movement of the friction to obtain a kind of no rules, no obvious lines of the aclight.This kind of processing, aluminum or aluminum alloy plate appearance requirement is higher. Threaded aluminium plate with a circular felt a small motor mounted on the shaft, and should be fixed on the surface of the table, edge of about 60 degree Angle with the table, in addition to do a dragging plate with fixed aluminum plate pressure tea, dragging plate with a straight edge, polyester film used to restrict thread race.Using the rotation of the felt and the linear motion of the dragboard, the surface of the aluminum plate spins the thread of uniform width.